Researching an MA dissertation at the Centre for Modern & Contemporary History – Reflections on a Visit to Archives in Lausanne, Switzerland, Summer 2017. We are grateful to one of our recent MA Contemporary History students here at the Centre for Modern & Contemporary History for writing this reflection on an archival visit undertaken in the context of dissertation research. This is a short blog about an opportunity I had this summer (2017) to undertake three days of archival research in Switzerland, for my dissertation project in the MA in Contemporary History at the Centre for Modern & Contemporary History at the University of Birmingham. I travelled there to consult the records of the Monnet Action Committee, which are located in the Jean Monnet Foundation in Lausanne, and was fortunate enough to receive partial assistance towards the costs from a research travel grant from the Centre. My MA dissertation looked into the wider context of European integration as it developed in the mid 1950s, through the specific case study of the Monnet Action Committee. This is a relatively little-known organisation today that was active at that time in promoting European integration. Below is a description of and reflection on my trip, which may perhaps encourage other MA students to cast their archival net more widely. Crucially, both my topic and the archives chosen offered the possibility of looking beyond solely British based sources and English language historiography. Monnet Archive, Lausanne, Switzerland. Photo courtesy the author. It was important to be organised prior to my departure for Switzerland, as it would only be possible to visit once. First, from my previous research I had already gathered together existing work that others had done on the Committee. This was not a large literature, but did include a collection of published official resolutions and declarations. I studied these carefully for the period I was interested in, which was roughly from 1955 to 1958. Secondly, I checked the archive’s website which provides additional information regarding the Committee, namely an inventory of the records held, together with contact details for the archivist. The next step was to get in touch with them, which I did by e-mail. This was essential as they are a small centre and need advance warning of any visit. I asked questions and provided them with an idea of which records I was particularly interested in. Once this was done I could determine how many days were needed onsite and could then arrange the practical details of booking transport and accommodation. The archives are located within the grounds of the Lausanne University. I made sure to book accommodation somewhere within walking distance of it, in addition to allowing extra time for a little sightseeing. A note on language: I speak French, which made it easy, and some level of language skills is obviously needed for this type of trip. However, it is not an insurmountable barrier: in terms of the preparation described above for example, the website is in multiple languages and the archivists could speak some English. Being enthusiastic and interested in their archive also helped when communicating with them. My impression on arrival was positive. The weather was warm and the foundation is housed in an old farmhouse set in woodland within the wider university campus and close to the shores of Lake Geneva. It is a lovely setting and each evening I went down to the lake to review the notes taken during the day and plan what to do for the following one. The archivist was helpful: I was shown where everything was and the procedure for ordering documents was explained. They have a small room reserved for visiting researchers, which I had to myself. The majority of the Committee’s records are available on microfiche. These were created some time ago and are of variable quality, in particular handwritten notes were often difficult to decipher. However this was easily resolved as on querying it, I was provided with the originals of the unreadable microfiches. Perhaps another advantage of visiting a small archive was that, up to a certain quantity, it was free to request copies of documents. These were collated and sent to me as a PDF file by e-mail, within a few days of my trip. On language, most of the records were in French with a few in other languages. I would advise anyone working on their research language skills with a view to a future trip to the archives to firstly focus on the specific vocabulary that arises around your particular subject, and secondly to keep in mind that you can reach a level of passive understanding of a written text on a familiar topic much sooner than attaining a more general mastery, such as being able to speak or write. The three days I had allowed for the research passed quickly. I was aiming to build a general picture of the Committee to set it within its wider context. To do so I consulted the records in a variety of ways, following the general plan I had previously prepared, but not sticking to it so rigidly as to be unable to react to what I was finding. For instance, I studied various draft resolutions and declarations, tracing aspects that had both changed and not changed before the final published versions. This is a good example of how an archival visit can reveal a completely different story to the one that might be interpreted from simply using digital access to the final published text. In the Committee’s reports I was interested not only in what topics were being raised but in the language used to justify and explain specific courses of action, together with how they defined certain concepts. Of particular use was a large file relating to the set-up of the Monnet Action Committee. In this I was lucky to find additional details of the background experience of several participants that I had struggled to trace previously. There was also some interesting correspondence which gave insights into individuals’ thinking and opinions. Finally, I didn’t ignore what could be termed administrative records, for example the legal statutes of the committee and details on its funding and spending, which all provided additional information on how it worked internally as an organisation. In summary, I came away with a full notebook for my project. But it was also an interesting experience in itself to visit an archive in Switzerland and wouldn’t have been something I would have had the opportunity of doing outside the context of a History MA course. Based on my experience I would encourage others to consider broadening their research agenda to include non-British sources where appropriate, and to take advantage of the support that is available for such projects. Gillian, 2016/17 MA Contemporary History student, University of Birmingham. The role of the university as a place of education and research, as an employer, and as an important part of the social landscape has changed dramatically in the last decade. As PhD students from various European and North American academic backgrounds, we are keenly aware of these developments and have been involved within or against them – often both at the same time. One of the most pressing issues from our perspective is that of the workforce in universities, especially the collapse of working conditions for many academic and non-academic staff. Professors, who once enjoyed excellent working conditions in Europe and North America, are now being subjected to stricter, stranger, and more noxious standards. They are pressured into constant external grant applications, and are threatened with severe sanctions if the administration considers the results of this search inadequate. The case of Stefan Grimm, a professor at Imperial College London who was found dead in September 2014 shortly after a distressing email exchange about funding, is one tragic example. Professors are increasingly being judged according to various forms of ranking, both state sponsored (such as the Research Excellence Framework in the UK) and international ones such as the Shanghai ranking and the Times Higher Education ranking of global reputation. These rankings, as Cambridge historian Stefan Collini argues, do not actually reflect the excellence of the research, or the quality of the university. And yet, they matter tremendously to university administrators, students, and state officials. Of course, professors are not the only academic workers at a university. There are throngs of other individuals involved in the production of knowledge. These include temporary teaching staff, “research assistants”, or graduate students who often combine their own thesis-related work with teaching and with non-thesis related “research assistance”. It has been argued that some of these schemes provide valuable experience for graduate students, allowing them to be more competitive in the clogged-up academic labour market. But this experience can come with unpleasant strings attached, such as less than adequate working conditions. Or teaching opportunities without pay, as recently proposed by our own institution, the European University Institute. Temporary teaching staff are frequently employed in dire conditions, as in the United States, but also in the “social-democratic paradises” of Scandinavia. High competition, low pay, few to no benefits and very unstable contracts have become the rule, rather than the exception. In Norway, for example, as much as 20% of all university and college employees are hired on temporary contracts. Such harsh conditions make it particularly difficult for members of historically disadvantaged groups, such as women, people from lower social classes, and those with a migrant background to succeed, as they are the ones most affected by the low pay and lack of benefits. The result is a less socially and intellectually diverse university. We should not forget that an often neglected but huge part of the university-employed labour force consists of non-academic staff. As an institution, the university does not simply produce knowledge – it also consumes a vast amount of services. These run from university administration to cleaning and catering. The workers who perform these tasks are to a significant extent, the life-blood of the university. And yet their important contribution often remains unnoticed even when their working conditions, and therefore their livelihoods, are being attacked, as has happened in recent years. As with young academics, those who are overwhelmingly affected by these degrading labour conditions come from underprivileged backgrounds. They are often women, migrants or both and do not usually have ready access to the media to fight back. Protests at McGill University, Montreal, in 2011. In late 2011, in Montreal, members of the McGill University Non-Academic Certified Association went on strike for almost four months. They did so in opposition to a new contract proposed by the administration. The university wanted wage cuts in real terms, and negative (or dangerous) changes to benefit schemes including pensions. Across the Atlantic in 2013, students and staff at the University of Sussex, occupied a medical school lecture theatre, protesting against the university’s continued privatisation of services that threatened working conditions of staff including porters, caterers and security workers. The responsibility of national governments for “marketisation” and the drive for privatisation in higher education is sometimes underestimated, both within and outside academia. Reforms aimed at privatisation are very often the result of government intervention in the management of universities, and have been imposed from the top down. This has been done by governments of both the centre-right and the centre-left. Similarly, resistance to these trends comes from both a diverse alliance of the radical-left, who draw on theories of financialisation and neo-liberalism to explain our current economic situation, and from more conservative scholars who see themselves as the protectors of ancient academic tradition. There is no “going back” to any perceived golden age, but it is beyond doubt that there are aspects both of the academic tradition and of the post-war ideal of affordable or free higher education that are worth defending. As institutions charged with the important task of producing new knowledge, universities should not be desperately mimicking already outdated forms of corporate organisation, but rather be leading the way towards something better. This article was written with the assistance of Tiago Matos, Kimon Markatos, Hannah Elsisi and Tommaso Giordani. It is part of a series on Universities at the crossroads. In the context of current debates over free speech on campus and the privatization of the government’s student loan assets, here’s a piece – recently published at The Conversation, an excellent site co-sponsored by the University of Birmingham – which tries to set current events into historical and international perspective. Universities around the world today face pressure to conform to economic rationality and contribute to national innovation. Though often presented as a revolution, driven by “globalisation” or other vague buzzwords, this is nothing new. Research and teaching have never been free from external constraints and public universities have long been expected to justify the resources society devotes to them. But universities feel threatened and increasingly incapable of fulfilling their primary functions. The question at the centre of most current debates on university reform is to what extent universities themselves should determine the goals, values and norms of pedagogical and scientific practice. For politicians and the general public, academic freedom – even as a noble principle honoured mainly in the breach – is becoming meaningless. Debates on the freedom of higher education are as old as the university. But today’s ideologically imposed constraints are very different from the financial dependence of public universities on the state after 1945. The current international trend towards semi-private, semi-public universities poses new challenges to academic freedom. This is exemplified by the dominance of market-based vocabulary and principles for scientific conduct. And the adoption of corporate management models is leading to the authoritarian concentration of power within universities. 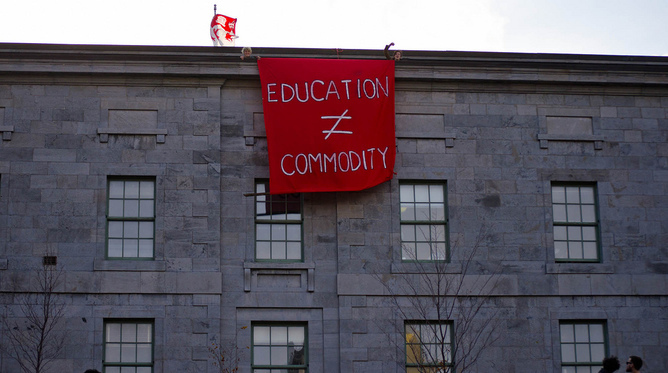 Critical voices opposed to current reforms argue that intellectual autonomy is being sacrificed to an unworkable vision of financial autonomy for public universities. These debates are at the heart of a collection of articles on The Conversation. The pieces shed much needed historical light on the current restructuring of higher education and research – in Europe and beyond. They emerge from a recent major conference on higher learning and politics. The cross-national historical comparisons presented here illustrate the peculiarities of the current reform culture. They also demonstrate the historical complexity of the relationship between university and society, and warn against national parochialism. When told there is no alternative, we should look abroad for ready proof to the contrary. Higher education, society, politics, and the market have had very different interconnections in different countries. As a result, despite the wide influence of marketisation ideology, there are real differences around the world reflected in public discussions on the future of the universities. We give a flavour of that variety here. 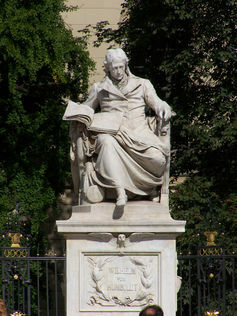 Wilhelm von Humboldt, founder of the modern university. The public universities of contemporary Europe date from 1945, yet they are based on the early 19th century Humboldtian ideal of academic freedom, and on the value of faculty members who both teach and conduct research. Spreading round the world, this model gave rise to numerous local variations, including in the Anglo-American sphere, which in the 20th century overtook the German-French universities. Today, the dominance of English-language universities is evident in many different regions of the world. Yet as the article on Japan in this series on will illustrate, the mix of internationally circulating university models and national traditions of higher education has produced very different results. Despite pressure to homogenise, the introduction of marketising principles of university management has provoked very different reactions around the world. As Italian historian Andrea Mariuzzo shows, idealisation of elite American universities is nothing new in global higher education. But nor is misrepresentation of the US system in order to justify various national projects. Mariuzzo examines Harvard reformers’ efforts in 1945 to define the balance between general liberal education designed to produce citizens, and specialised instruction supposedly aimed at economic success. Meanwhile, Japanese historian Shigeru Okayama describes how European models of higher education influenced the Japanese approach from its inception. But he also exposes the failures of the private university system there, and the growing divide between English and Japanese language teaching. A collective of doctoral researchers at the European University Institute have also provided a view “from below”, explaining how the marketised university is experienced by those who represent its future. It is undeniable that some of the current challenges to higher education are specific to our times. But others have a long history, despite being widely seen as new. We often hear that the university is globalising. In fact the nation state remains a key player, and global academia remains primarily a space for international competition. Within this space, all kinds of international honours contribute to national prestige, and individual scholars mobilise international recognition for national purposes. Distinguishing between which reforms are truly new and which are merely presented as such, and grasping the interplay between global trends and national situations will help us think about how to react in the face of today’s challenges. This is the first in our series, Universities at the crossroads. New funding available for MA study at Birmingham! · From a group that is evidentially under represented among the institution’s taught-Masters population, e.g. those who attended a state school/college; have been in receipt of a student loan; participated in a widening participation scheme at undergraduate level; entered university from a care background; have been in receipt of Disabled Student Allowance or are registered disabled; or come from a home where neither parent attended university.